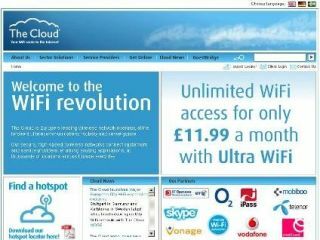 Wi-Fi network operator The Cloud is spending 100m euros (£67m) over the next two years to deliver wireless connectivity to more than 30 European cities. Ben van Dongen, managing director for metro Wi-Fi at The Cloud, said the company is looking to build public wireless networks in any major European city and will focus its efforts on a range of cities, from the very small to the very large. The Cloud is currently in talks with some 30 European cities, with Stuttgart and Karlskrona, Sweden the latest cities to use the company to introduce city-wide Wi-Fi networks. The network operator said its initiative is in response to increased demand for Europe-wide Wi-Fi. There is likely to be more than 160m Wi-Fi-enabled devices in operation by 2008. According to Van Dongen, country-specific rates might be used, with EU countries offered different tariffs than non-EU countries. The cost to end users is expected to be around 20 euros (£13.50) per month. The Cloud already hosts Wi-Fi services in 16 European cities, including Amsterdam and London.